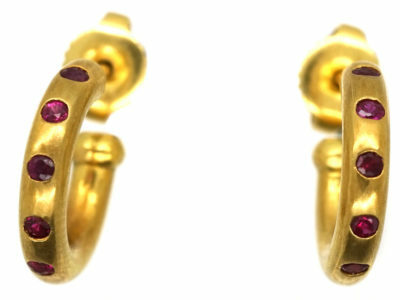 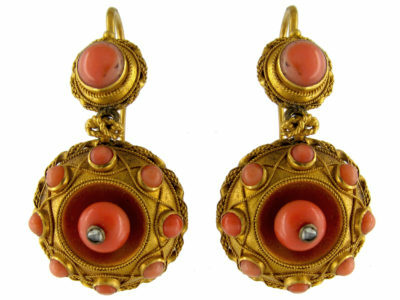 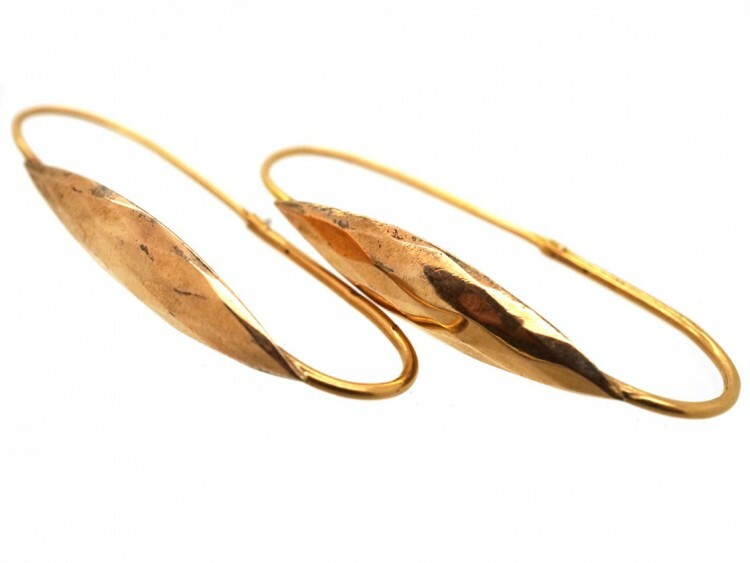 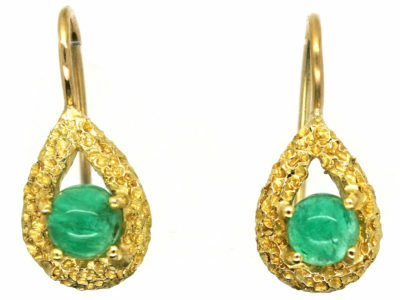 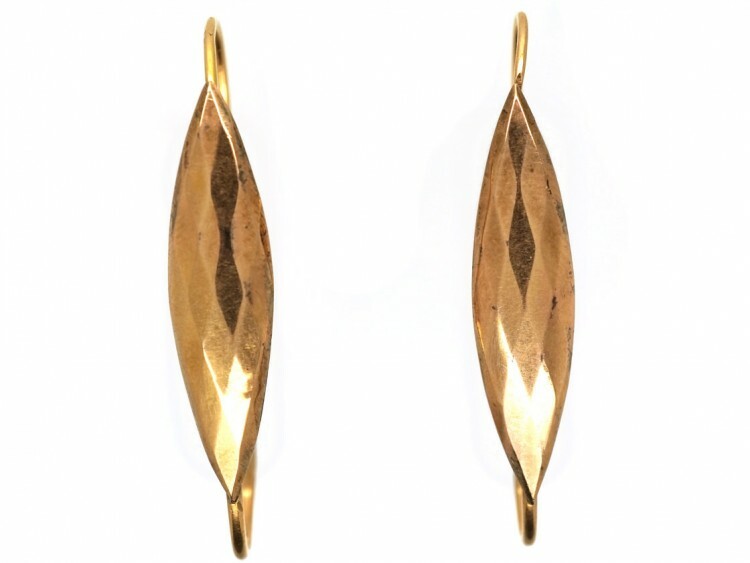 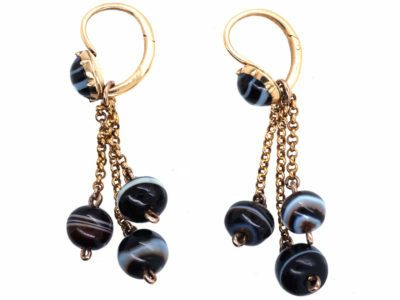 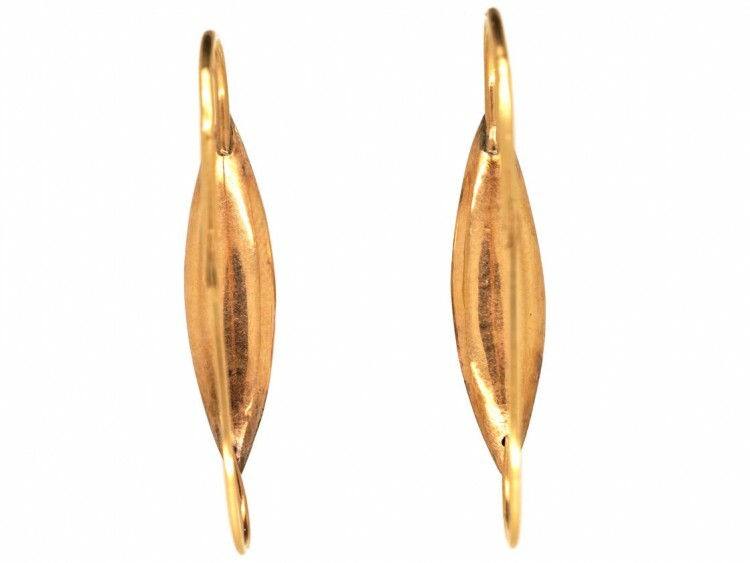 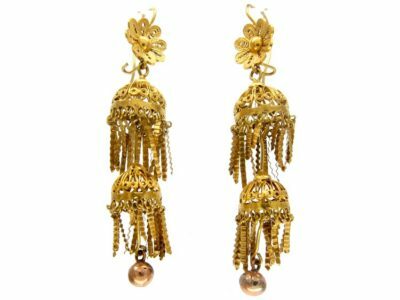 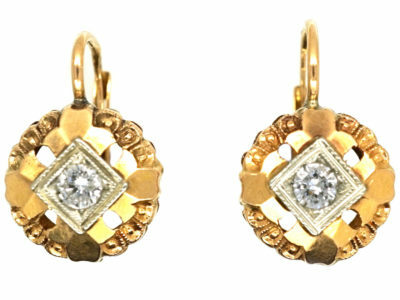 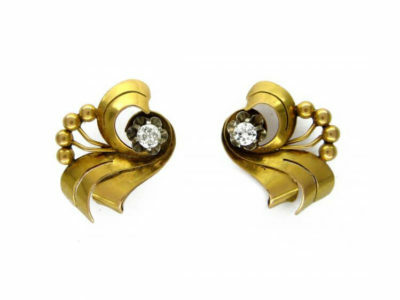 An interesting pair of 18ct gold early 19th century earrings. 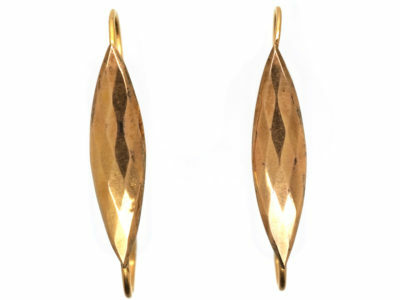 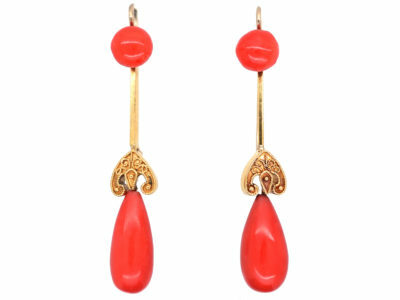 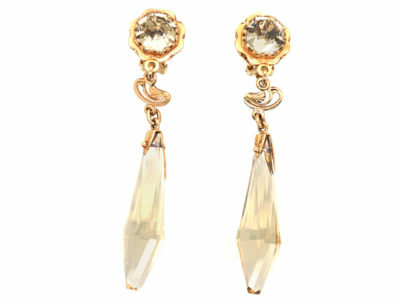 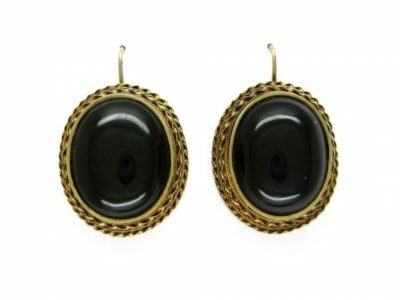 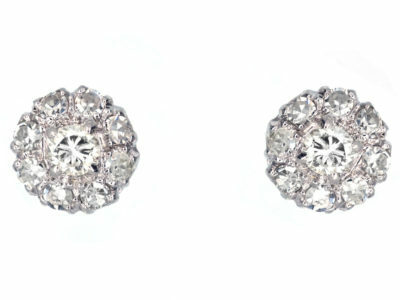 They are a long oval design with faceted fronts. 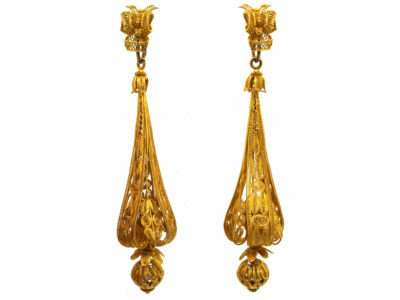 They were made circa 1800.